Singer/songwriter Susan Aglukark is a unique artist and a leading voice in Canadian music. She blends the Inuktitut and English languages with contemporary pop music arrangements to tell the stories of her people, the Inuit of Arctic Canada. Susan has held command performances for Her Majesty the Queen, Canadian Prime Ministers Jean Chretien and Brian Mulroney as well as the President of France Jacques Chirac. She has performed for Nelson Mandela and Governor General Adrienne Clarkson along with other dignitaries. Equally important to her are the performances in many, many villages across Canada and the Arctic. In September 2005 she was made an Officer of the Order of Canada for her contributions to music and as a workshop facilitator and mentor in the aboriginal community. She is the recipient of three Juno Awards, the first-ever Aboriginal Achievement Award in Arts & Entertainment, and the Canadian Country Music Association’s Vista Rising Star Award. Her albums have sold over 400,000 copies in Canada. Susan’s current plans include touring her upcoming album and the continuation of her activist work. Susan says she never strays far from her roots or the people of Arctic Canada where she grew up. Her ultimate message—“To learn to be yourself and believe in that person”—is for everyone. Riel Benn is an established painter, living and working in Birdtail Sioux, Manitoba. In his short, yet full career there has been an enthusiastic response to his work. In just a few short years he has produced a considerable body of work and become an artist to watch. He has had sold-out exhibitions at Wasagaming Community Arts and Winnipeg’s Urban Shaman Gallery. In 2004, the Art Gallery of Western Manitoba in Brandon exhibited work portraying his alter-ego, “The Best Man.” Benn was also a featured artist in About Face: Native American and Inuit Self-Portraits at the Wheelwright Museum of the American Indian in Santa Fe, New Mexico. His exhibition The Magazine Series toured across the Prairies under the auspices of the Moose Jaw Art Gallery. 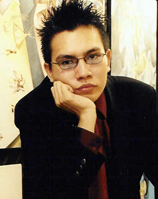 Benn is the recipient of several awards, including the 1999 YTV Achievement Award in Visual art, the Manitoba Aboriginal Youth Achievement Award in 2001, and a nomination for a National Aboriginal Achievement Award in 2003. His work can be found in public and private collections nationally and internationally. 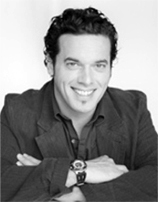 Joseph Boyden is a writer with Métis, Irish, and Scottish roots. He is the author of the acclaimed novel Three Day Road. Inspired in part by real-life World War I Ojibwa hero Francis Pegahmagabow, Three Day Road reinvents the tradition of such Great War epics as Birdsong and All Quiet on the Western Front. Beautifully written and told with unblinking focus, it is a remarkable tale of one man’s journey home. The novel was shortlisted for the 2005 Governor General’s Literary Award for Fiction, and Boyden received the Barnes and Noble Discover Great New Writers Award, as well as the McNally Robinson Aboriginal Book of the Year Award. 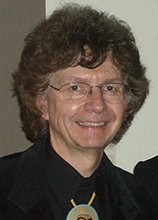 His other publications include Born with a Tooth, a collection of stories, which was shortlisted for the Upper Canada Writer’s Craft Award. His work has appeared in publications such as Potpourri, Cimarron Review, Blue Penny Quarterly, BlackWarrior, and The Panhandler. He divides his time between Northern Ontario and Louisiana where he teaches Canadian literature and creative writing at the University of New Orleans. 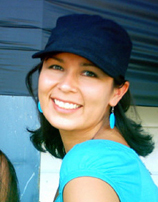 Harmony Rice is an Anishnaabekwe of Potawotomi descent from Wasauksing First Nation. Her Spirit name is Centre of the Sky Woman. SPIRIT Magazine is a national Indigenous arts and culture magazine, which seeks to redefine Indigenous identity in Canada, exploring art, news, opinion, music, film, literature, and activism. Harmony is a mama, multimedia artist, and wildflower beekeeping enthusiast. She sits on the Board of Directors for the Harmony Movement, a national non-profit race relations organization, and is the President of the Association for Native Development in the Performing and Visual Arts. She is a former advisor to the Canadian Race Relations Foundation’s United Against Racism Campaign, a former editor of the national arts magazine Aboriginal Voices, and a former director of the Reel Aboriginal Film Festival. Harmony has produced for CBC Radio and appeared numerous times on CBC Toronto’s Metro Morning. She is currently working on a book titled God’s Cool Timing. Dr. Allan J. Ryan holds the New Sun Chair in Aboriginal Art and Culture at Carleton University and hosts the annual New Sun Conference on Aboriginal Arts. He is an Associate Professor, cross-appointed to the Department of Art History and the School of Canadian Studies. In a varied career he has worked as a graphic designer, recording artist, television satirist, and professor of Native Studies, Anthropology, Art History and Canadian Studies. Dr. Ryan, along with Zena Pearlstone of the University of California, is co-curator of the major exhibition About Face: Native American and Inuit Self-Portraits, exhibited at the Wheelwright Museum of the American Indian in Santa Fe, New Mexico. He is the author of The Trickster Shift: Humour and Irony in Contemporary Native Art (UBC Press), which received an American Book Award for its contribution to multicultural literature. When the late Ojibway artist Carl Beam received the 2005 Governor General’s Award in Visual and Media Arts, Dr. Ryan was asked to write the essay for the accompanying publication. More recently, his essay “One Big Indian,” on the work of Mohawk artist Bill Powless, has been included in Me Funny, a collection of writings on Canadian Aboriginal humour, edited by Drew Hayden Taylor, and published in January 2006 by Douglas and McIntyre.